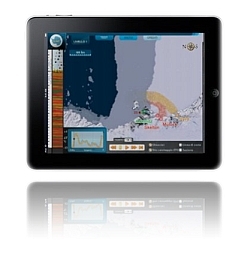 CLAST is an interactive educational app developed to explain topics of Geology and Earth Sciences to schools. You'll be guided on a journey through space (Antarctica) and time (the last 150,000 years). Discover the distinguishing features of the immense Antarctic ice sheet. You can follow its evolution in response to climate change that occurred in the last 150,000 years. CLAST provides a representation of the results of ANDRILL, a scientific research program on paleoclimate that studied two over 1000 m long cores of rock from the seabed. Following the instructions in the forms within the page "Teaching with CLAST" you can also have an overview of the main methods used by researchers to reconstruct the climatic history of the area. CLASTis a free App designed primarily for students over the age of 10 years.